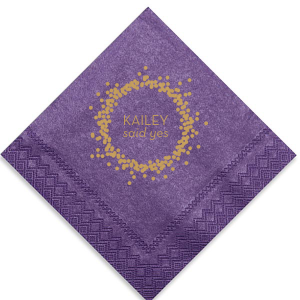 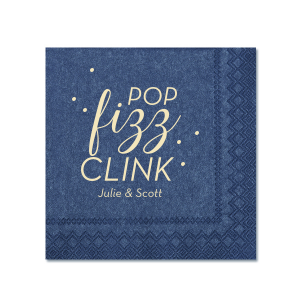 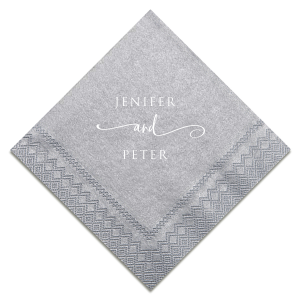 Add a special sparkle to your wedding napkins with For Your Party's personalized shimmer cocktail napkins. 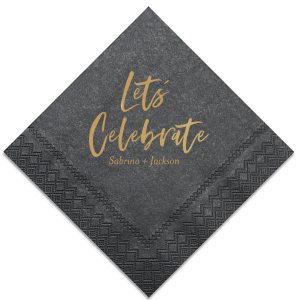 These top quality disposable napkins are custom printed for For Your Party and have a slightly iridescent sparkle that looks gorgeous along side a shiny foil stamp and takes these napkins from ordinary to luxury napkins. 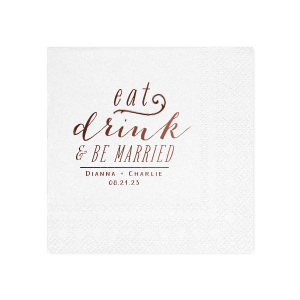 You can upload your own art to create your custom printed napkins. 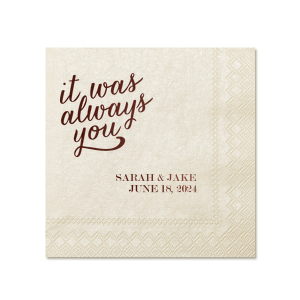 Or, you can choose from our styles that range from traditional like a classic monogram, to modern geometric designs, to trendy graphics like boho, floral and hand lettering designs. 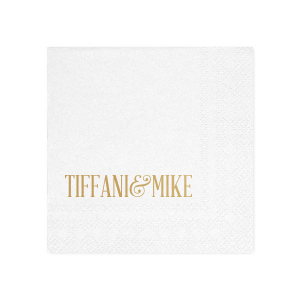 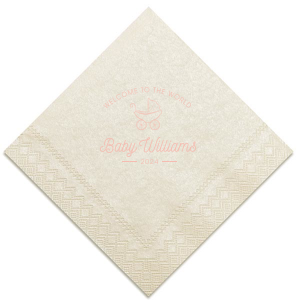 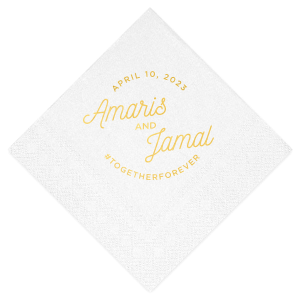 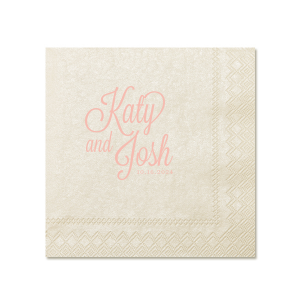 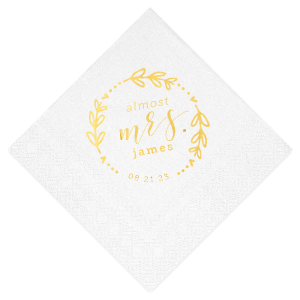 Add the couples' names, wedding date and wedding theme for a perfect wedding bar napkin. Our styles extend beyond weddings! 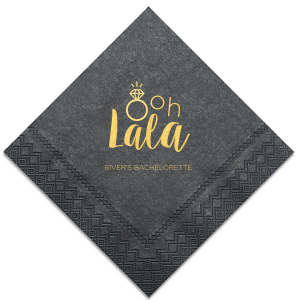 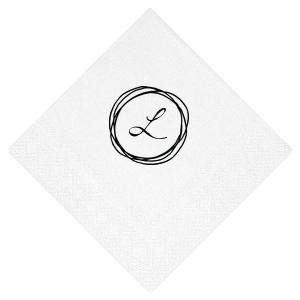 If you're wanting to create a custom luxe cocktail napkin for a bridal shower, bachelorette party or baby shower, For Your Party is the place to go. 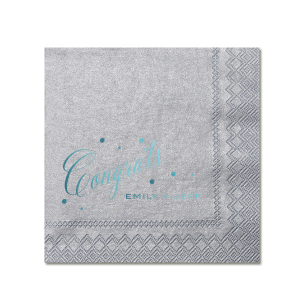 We also have clip art like caps and gowns that are ideal for graduation parties—be it from kindergarten or graduate school! 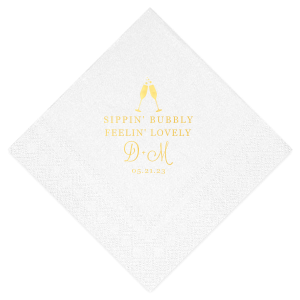 You can also upload your company logo for the finishing touch to refreshments at your next corporate event. 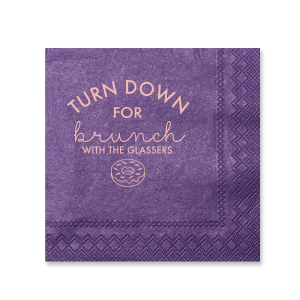 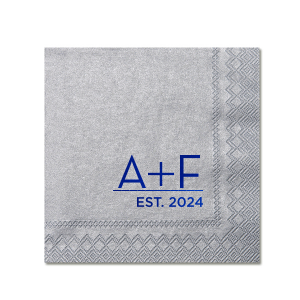 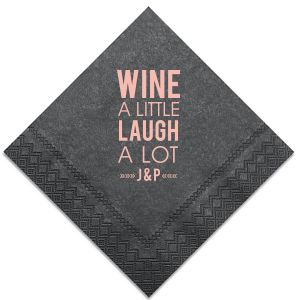 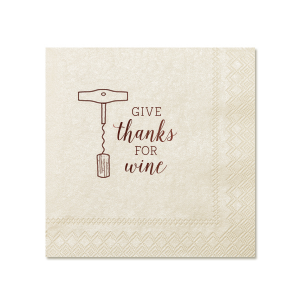 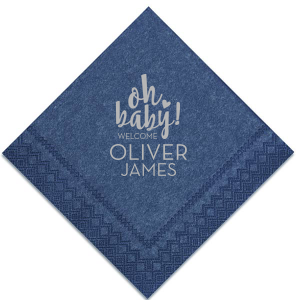 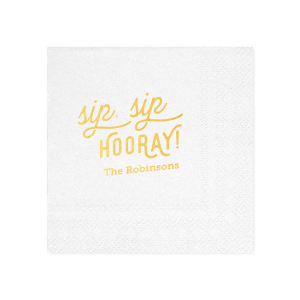 Whatever the occasion, design your personalized luxury beverage napkins on For Your Party today!